Simply call 905 905-548-5790 for the local Hamilton Insurance Store or 1-800-769-2529 to get a quote and mention that you are from CUPE Local 5167 in order to obtain your group rates. Alternatively, you can go online to rbcinsurance.com/quote/cupe5167 to get a quote. Or visit rbcinsurance.com/store to find the RBC Insurance store nearest you. 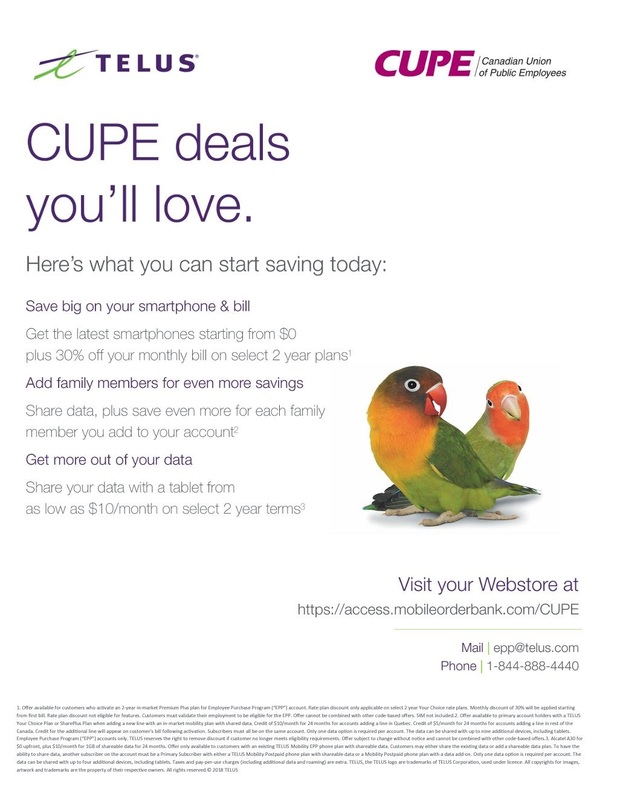 Save Hundreds at a Time – Check out the CUPE 5167 “Exclusive Offers” and save hundreds per year on your smart phone plan from Rogers or Telus. 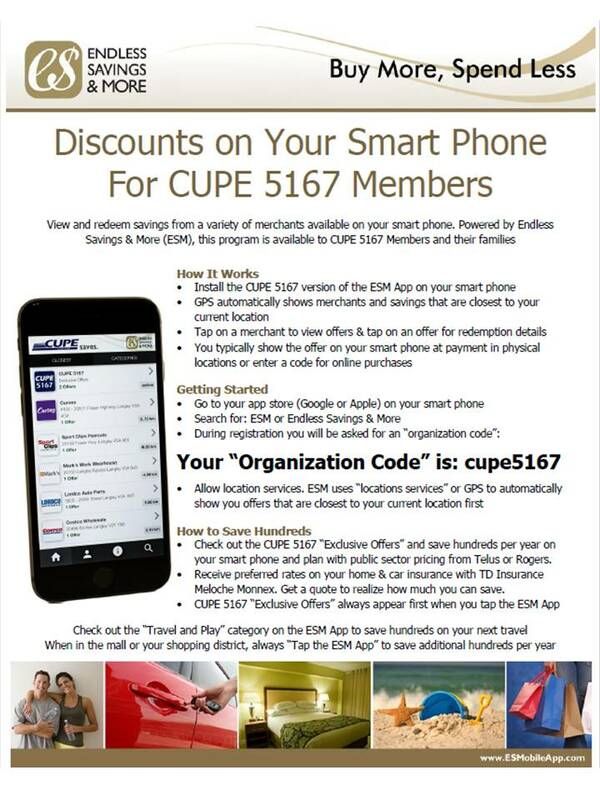 CUPE 5167 “Exclusive Offers” always appear first when you tap the ESM App.